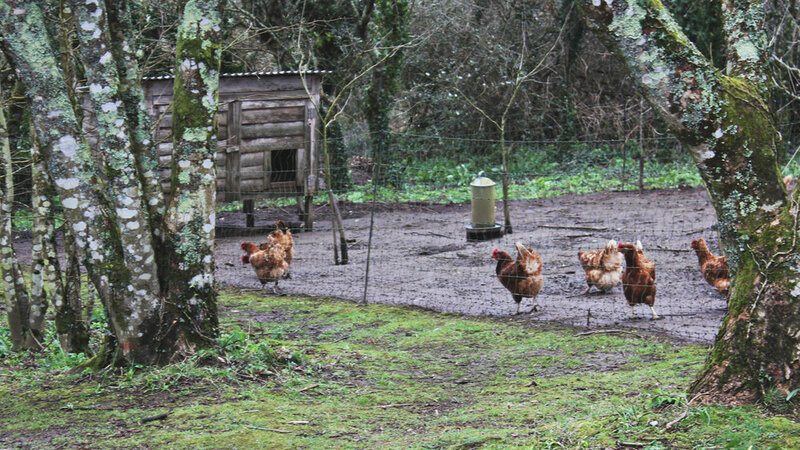 Past a welcome from the chickens, left of the yurt and through the gardens brings you to an inviting converted greenhouse. The glowing light from the wood burner was a welcome sight on a wet, blustery Cornish morning. The emphasis here is on good food and relaxing, and with the weather as it was and the atmosphere so serene, we did just that. At the table to left of us a couple were engrossed in a lengthy game of scrabble and to the right a long-haired lab lay fast asleep only glimpsing up when his owners Jenga blocks toppled down. Dotted around were big groups chatting, couples reading and us yabbering away, doing some crafts, colouring and sticking. There are games on every table, newspapers, books to read, ping pong set up in an adjoining greenhouse with badminton and boule outside and hammocks scattered around the gardens when the weather is fairer. Outside was great fun to explore even in the drizzle, with succulents for sale, studios and workshops to nose in and working gardens to pour over. There are wholesome Veggie breakfasts and lunches to hush even the loudest carnivores. We were here for the homemade cakes though, and they were so very good. 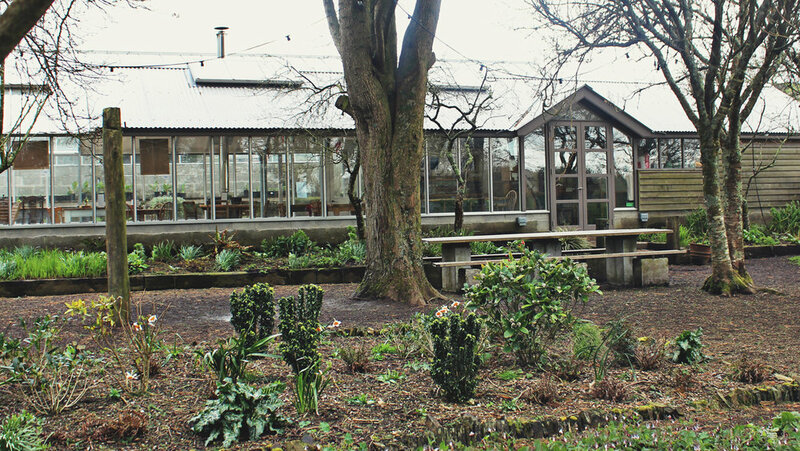 Local organic produce is championed with lots of the ingredients so close as they are grown in the green house next door. 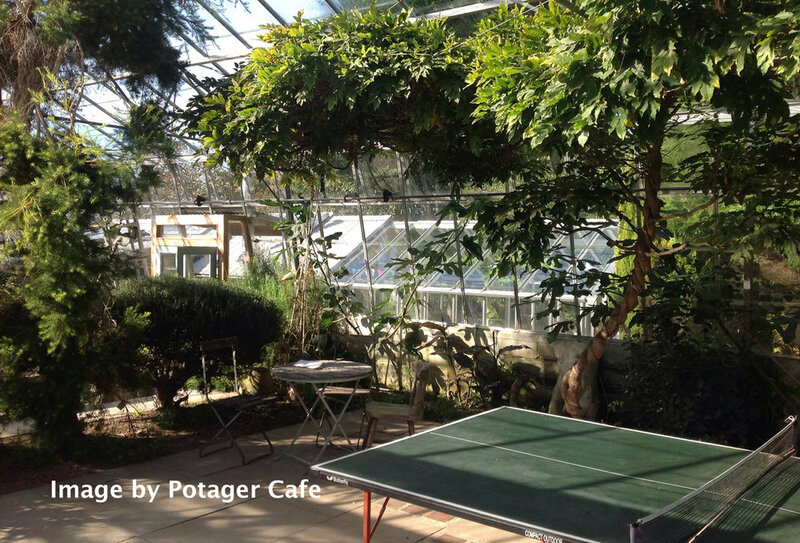 Potager cafe was a real treat, some much needed downtime and a joy to step back and spend some quality time with all the kiddos. I wish there were more places like this breaking up the hustle of modern life. 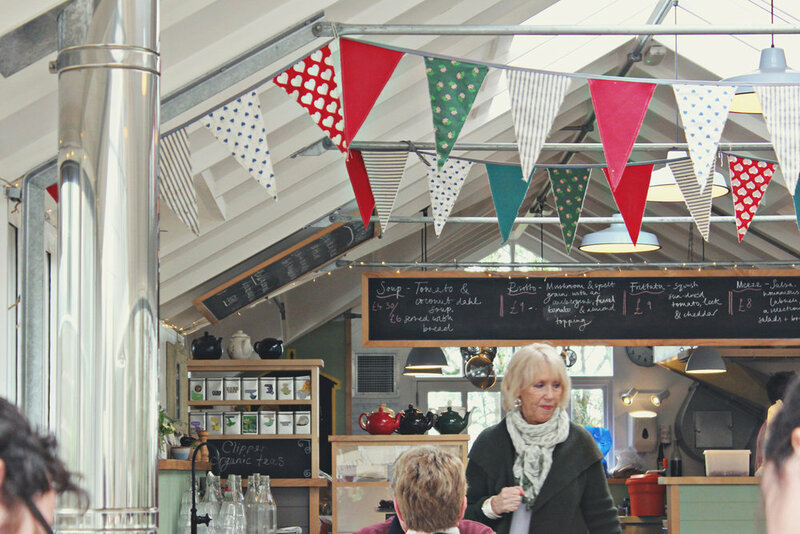 The café serves breakfast between 10am and 12pm and lunch between 12pm and 3pm, and tea and cake all day! Check before you go as they are only open four days of the week and I think they may close for the winter. Go for lunch as well as cakes - we missed out on the real deal here; it all looked delicious! Take your sat nav - you will not find it otherwise!